To help improve water quality on the Great Barrier Reef, we are working with landholders to reduce sediment run-off by rebuilding eroding land at Strathalbyn Station, a privately-owned property in Queensland’s Burdekin River Catchment. 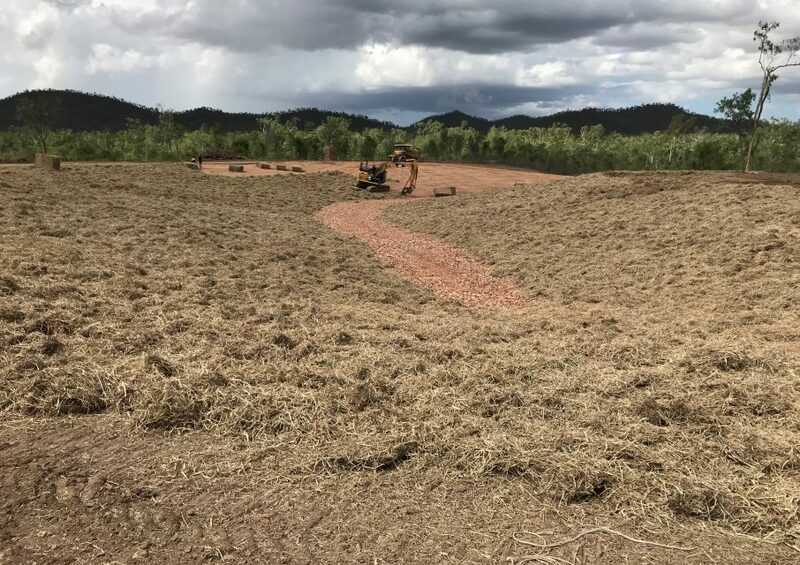 To help improve water quality on the Great Barrier Reef, we are working with landholders to reduce sediment run-off by rebuilding eroding land at Strathalbyn Station, a privately-owned property in Queensland’s Burdekin River Catchment. Through the ‘Innovative Gully Remediation Project’ which forms part of Reef Aid, Strathalbyn Station will be used as a site for showcasing and trialling innovative techniques, stimulating fresh thinking to tackle erosion and facilitating engagement with local landholders. Fine sediment flowing from eroding land onto the Great Barrier Reef smothers coral and fishes, creates algal blooms and weakens the reef’s ability to recover from the impacts of climate change like coral bleaching. 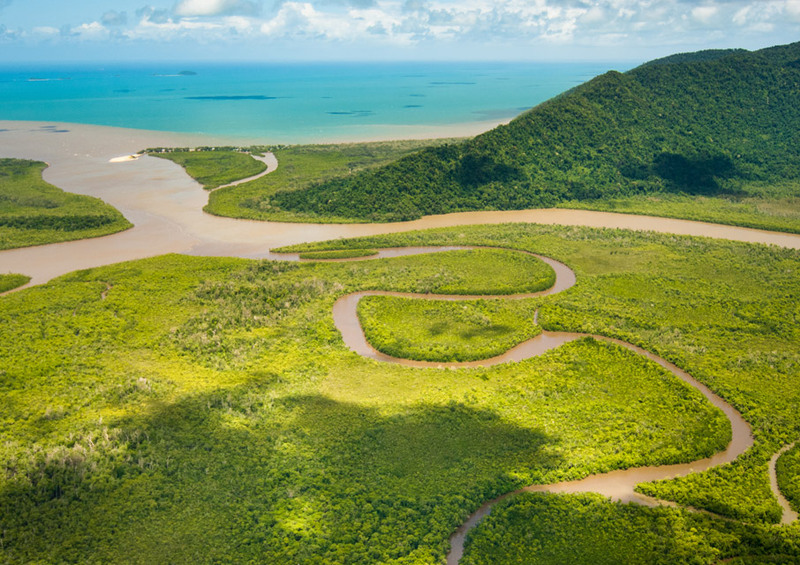 The Burdekin River Catchment is estimated to deliver almost 50% of the total sediment that makes its way into the waters of the Great Barrier Reef. Ninety percent of the fine clay particles that end up in the Great Barrier Reef lagoon come from the land, predominantly from eroding gullies and stream banks. Research indicates that the gullies targeted have exported on average 956 tonnes per ha since 1945. That’s a staggering 550,000 tonnes sediment over that period with 65% capable of being suspended and delivered to the Great Barrier Reef. In partnership with the Queensland Government’s Great Barrier Reef Innovation Fund and Department of Environment and Heritage Protection, Greening Australia is trialling and evaluating different gully restoration techniques, building on existing research and initiatives. Trials have shown that restoring gullies can reduce sediment on the Great Barrier Reef by up to 80% in less than three years. 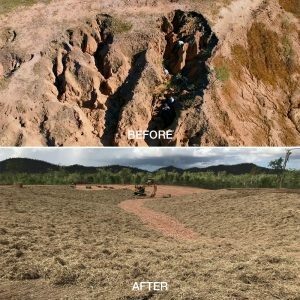 Greening Australia is leading this critical project in the Burdekin area and Bowen in North Queensland, restoring 150 hectares of gullies. 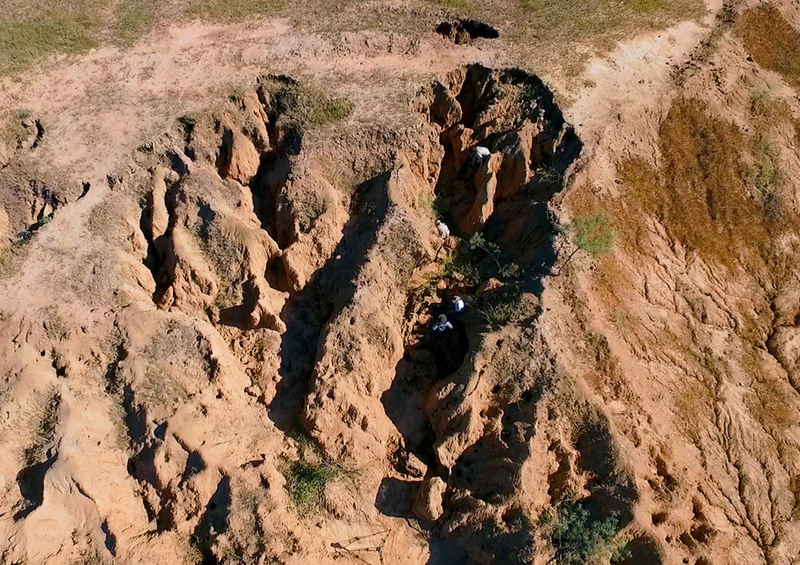 The project will trial restoration of heavily eroded gullies on a large scale and provide valuable information that can be used to inform the restoration of other areas and give wildlife a helping hand. 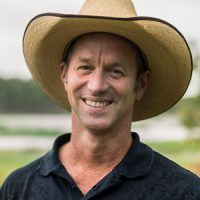 Greening Australia is also working with landholders to implement treatment techniques based on the latest scientific and practical methods to achieve lasting reductions in the amount of sediment flowing out to the reef to help it recover and thrive. The Innovative Gully Remediation Project is a collaborative project jointly funded under Greening Australia’s Reef Aid program and the Queensland Government’s Great Barrier Reef Innovation Fund, managed by the Department of Environment and Heritage Protection. The gully at Strathalbyn Station before and after restoration works. Damon came on board to oversee the gully restoration component of Greening Australia’s Reef Aid program in 2017. He has more than 20 years experience in implementing practical on-ground solutions to environmental management problems and runs his own business Fruition Envrionmental. Through his career he has specialised in river rehabilitation, estuarine management, biodiversity conservation, bush regeneration, and landholder engagement. Damon is also a passionate woodfired sourdough baker! He lives with his family in Townsville, North Queensland.